The garage has become a truly popular space in the home. 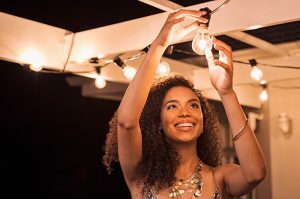 Whereas people used to look at the living room, dining room and backyard (amongst other features) when home buying, now they also consider what the garage is capable of becoming. The inside, as well as the outside of the garage, can really become multi-functional spaces. Homeowners can individualize their garage to reflect their own interests and to mesh well with the overall style of the home. When it comes to the outside of the garage, it’s the garage door that really frames the space and the home in general. 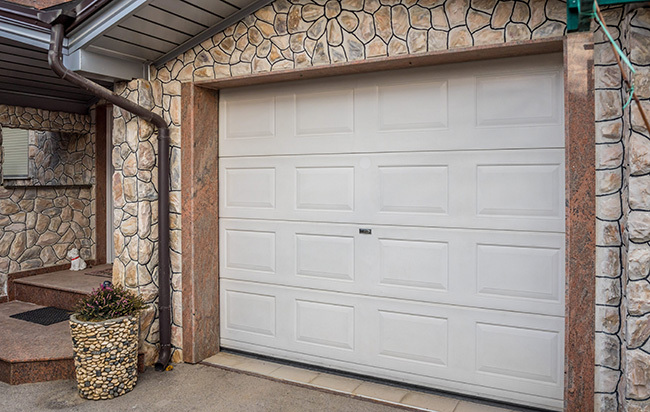 Read on to find out more about all of the different types of garage doors that are out there. The options are extensive and depend on your specific needs. 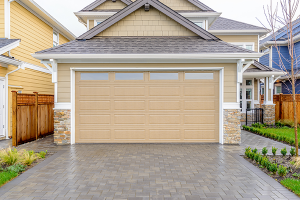 Garage doors are so important because they frame your home. When someone is standing at your curb they may notice certain features such as the yard, the front door, and the siding. Also, they will notice the garage especially since it takes up a sizable portion of the home. It would be a waste of space to simply consider the garage an afterthought. By choosing a door that fits in with the rest of the home’s decor, you can significantly improve the visual appeal of your home. One of the most classic types of garage doors is the carriage house style garage door. On any given street the carriage house style may dominate depending on the type of home. Carriage House style doors almost have a feel of a farmhouse. The more expensive, nicer types are often made from wood which can be an expensive material for garage doors. The reason that wood is more expensive is that it often times is customized to each individual home especially if the size of the door is unusually big or small. However, you don’t need a wooden Carriage House Style in order to have it look like wood. In fact, they make certain types of paint that look like wood in order to have that same elegant appearance. The Carriage House Style can also be made from aluminum or metal, although wood certainly gives off the nicest appearance. All three materials provide a durable garage door. In addition to giving off a rural, traditional feel the carriage house style has become more popular with millennials as well. This is probably because it almost has a retro feel due to its traditional characteristics. Carriage House Style looks wonderful when paired with windows that go up along the top of the doors. A popular accessory is to place bars or lines across the windows. A few popular accessories are straps and knockers that can be placed on the doors. 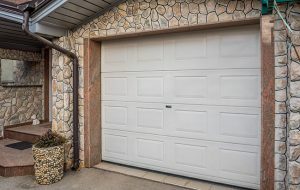 Given that it seems that every appliance and aspect of the home has been made to be turned into a customizable item, the garage door can, too. There are companies that now make smart garage doors in the sense that the doors can be controlled and programmed via a telephone or computer application. There are a few different features that these smart garage doors have. For one, the garage door can be controlled from a phone or computer that is synced with it. 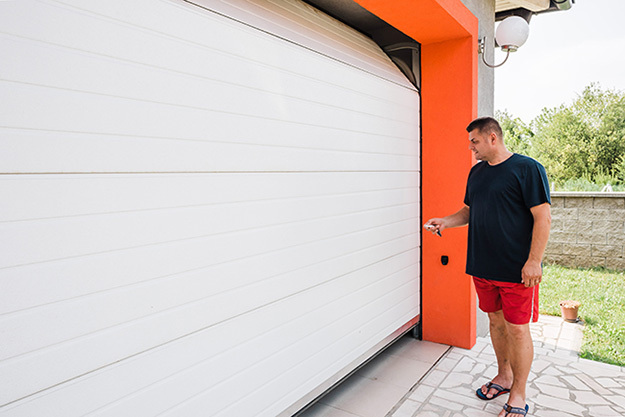 This means that you are able to open and shut the garage door using a connected device and without necessarily being in close proximity to the door. This is, of course, different from a traditional garage door opener that requires you to be within a certain distance in order for the sensor to work. Another feature that some people love about more technologically savvy garage doors is that you can track when they open and close. This is usually done with an app on your phone or computer. A log is provided to the user stating the times and dates that the garage door opened. This smart technology is perfect for those who want to monitor teens who may return late at night or anyone wanting to ensure their kids are safely inside. It may seem futuristic, but those who are into uber modern styles may opt for a garage door that is entirely made of windows. This look is not common, but it is gaining in popularity in certain areas. Experienced installers who specialize in garage doors are able to take steel or even aluminum garage doors and turn them into all panels of windows. The downside to this type of garage door is that safety concerns could arise from a transparent garage door, so a home alarm system is a good idea. The garage can be a major entry point for cold air to enter the home. 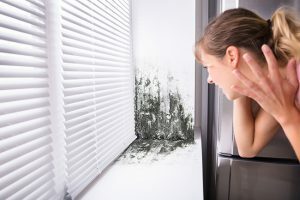 Given its location as a barrier between the outside elements and the inside of the home, it can allow for cold air to escape in the summer and warm air to escape in the winter, both of which drive up energy bills. If you live in an area where the weather can reach extreme temperatures and precipitation is common, an insulated garage door may be right up your alley. What makes a garage door insulated is that it comes with special weather stripping that would ensure the bottom of the door does not leave an open space. Some people seek out garage doors that are of different sizes from the average garage door. This could be due to having an opening that is larger than the customary 15 to 16 feet that is normal. It could also be because the home has been custom built, and a homeowner may have an idea of the type of garage door they wish to see. Whatever the case, a custom made garage door can often have a beautiful and ornate feel. A garage is a special place that can be made into much more than just a place to store items. The garage can be an office, a hang-out place, a yoga studio, and whatever you want it to be. Choosing the right garage door allows you to match the outside with the beauty of the inside. Whether you choose a custom-made door, a tech-savvy one or a carriage house style that gives off a traditional feel, your house will be more appealing with your new garage door. Custom made garage doors, insulated, Carriage-style, and windows. All these garage features and styles are made at Feldco. Feldco has all the types of garage doors you’re looking for and our installers are factory trained to ensure that the installation is 100% complete. That’s why over 350,000 homeowners are delighted with our service because we provide great products, local service, and factory trained installation to ensure that you receive complete insulation and energy efficiency. Speak to a product specialist and get a free quote today.